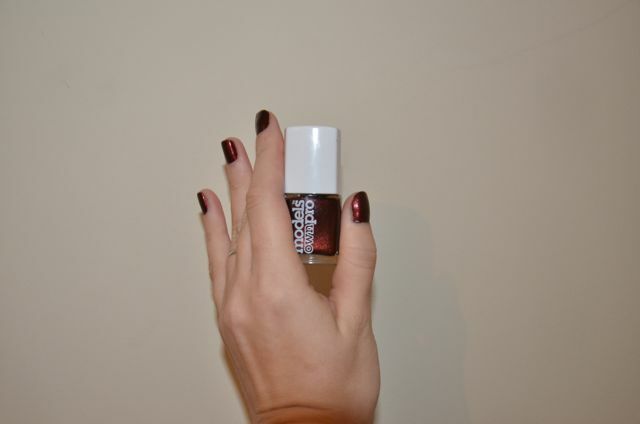 Another score from the Models Own booth at Clothes Show Live, Vampi-red is a a copper-infused chocolate brown color more than a red. It's a beautiful color with a slick, shiny finish, though I'm not sure it's the best color for my particular skin tone (PALE). The brush is a little bigger than what I prefer, but all in all, I'm very happy with this polish. I've been wearing it for 4 days now and as you can see, it's not chipping. I'm rather quickly becoming a big fan of Models Own! 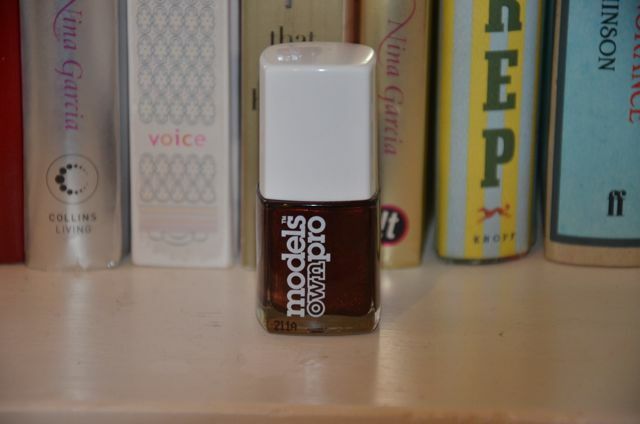 Have you tried any new nail polish brands that you're rather impressed with lately?